Are you looking for a job or volunteer opportunity? 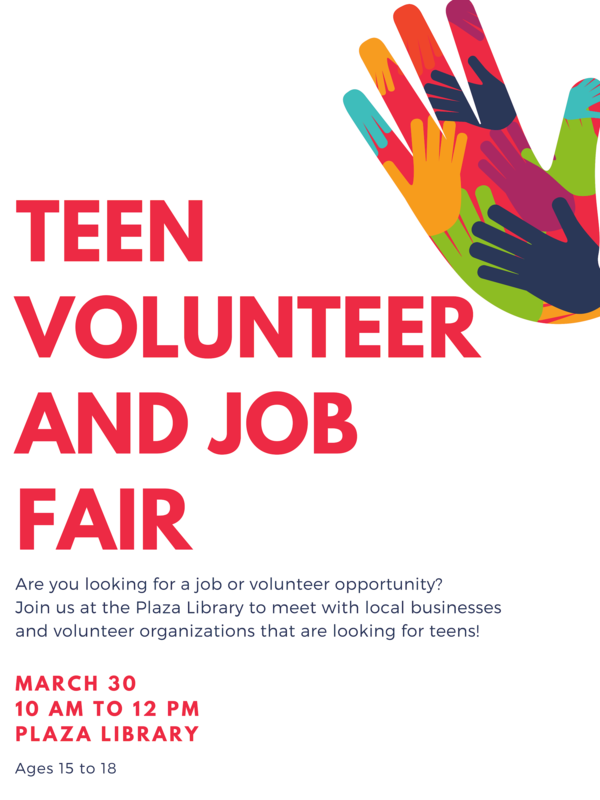 Join us at the Plaza Library to meet with local businesses and volunteer organizations that are looking for teens! For ages 15 to 18.